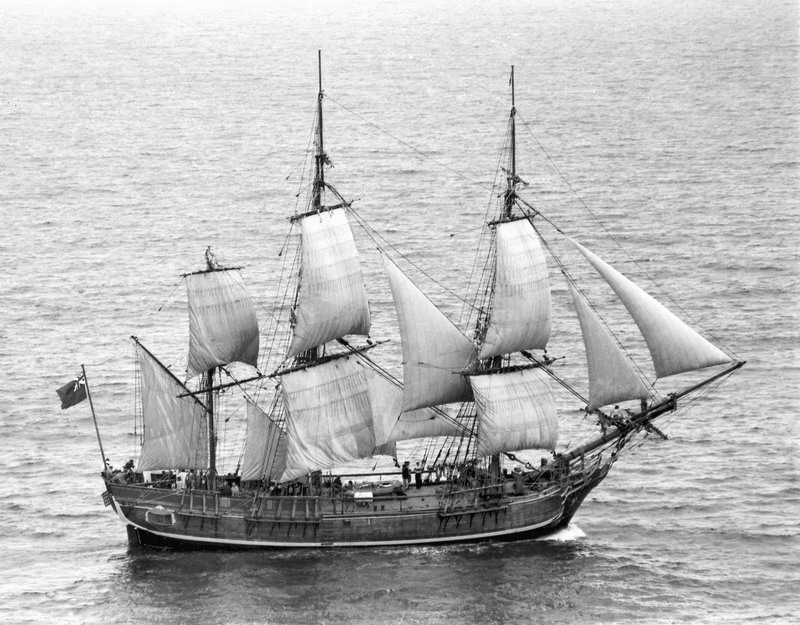 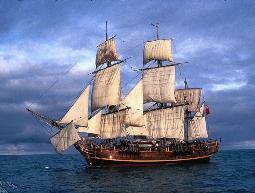 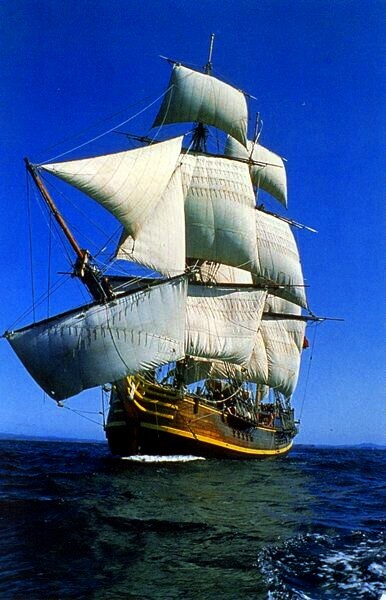 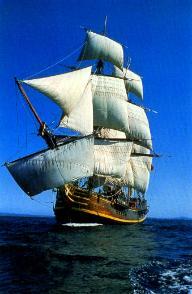 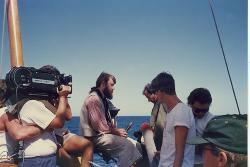 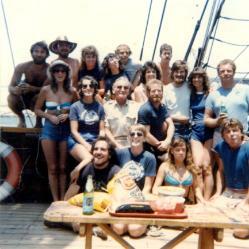 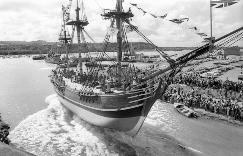 (as Captain Bligh) at a cost of over $4,00,000. 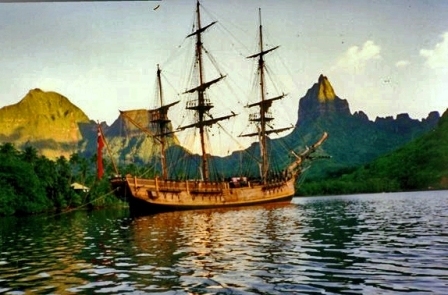 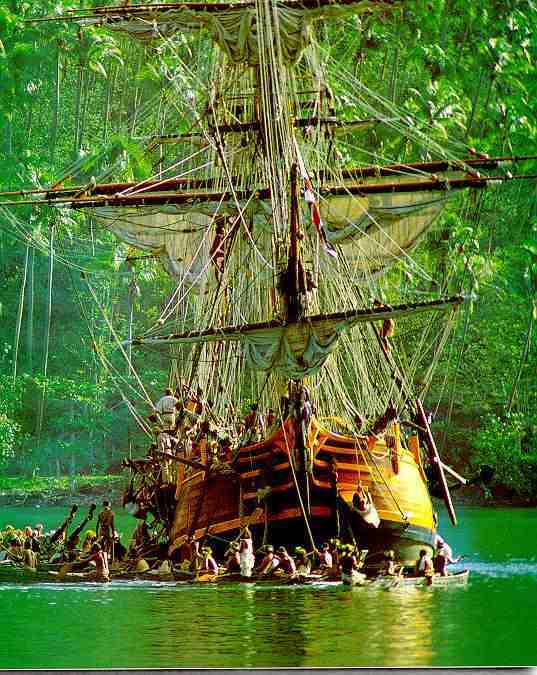 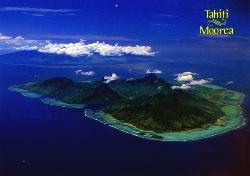 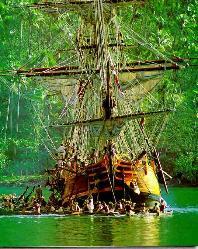 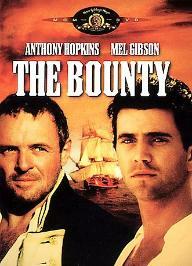 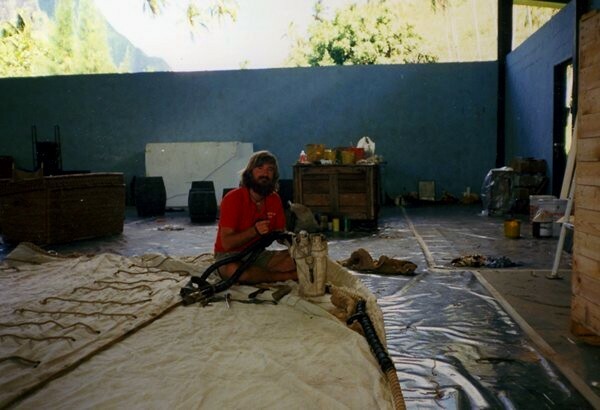 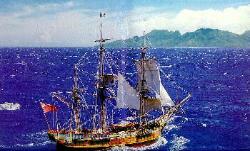 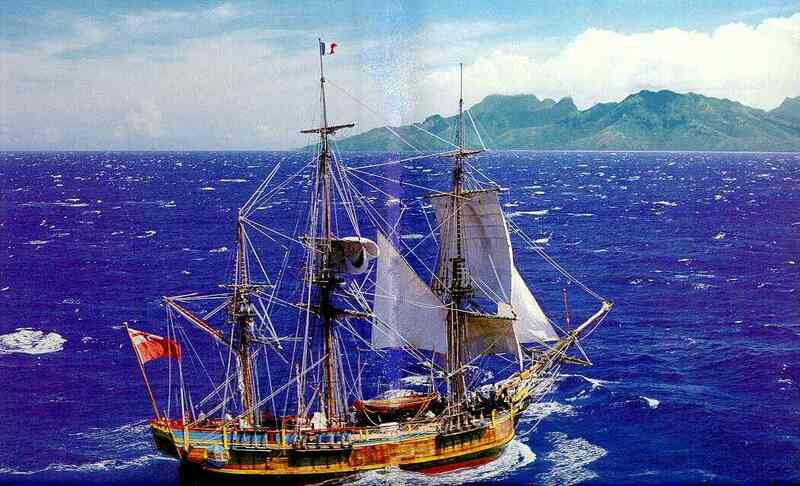 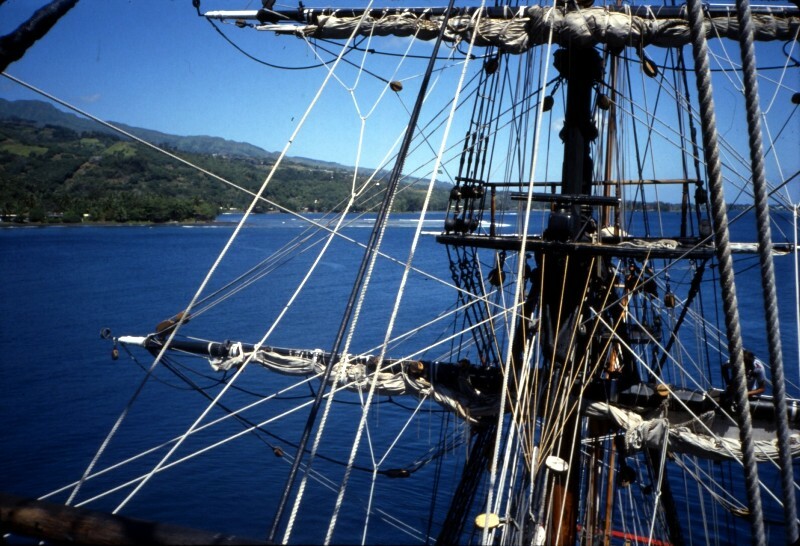 The original Bounty, scene of the now infamous mutiny near Tahiti in 1789, was burned at Pitcairn Island. 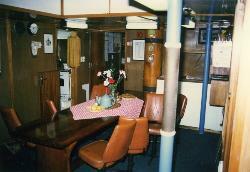 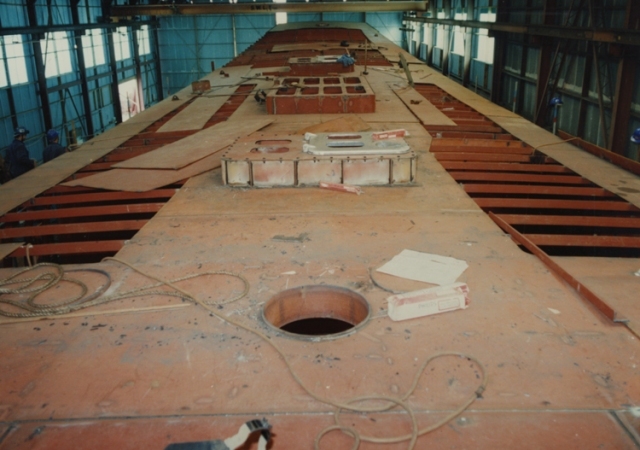 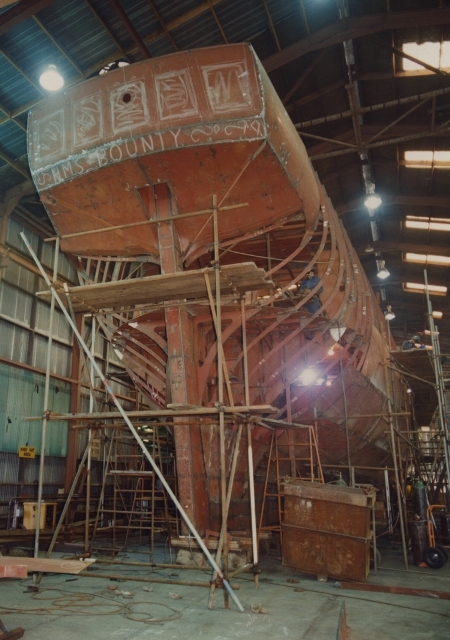 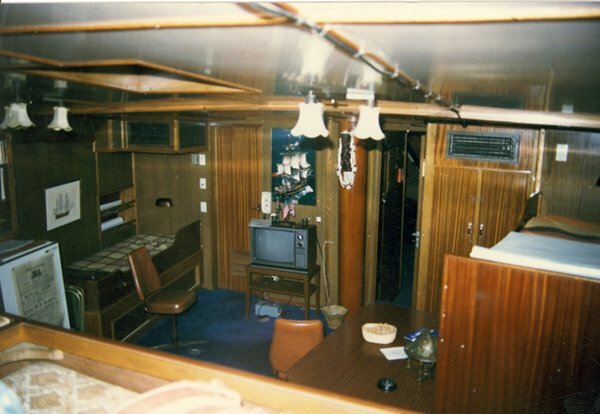 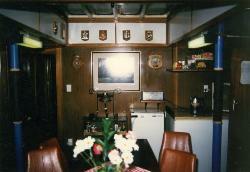 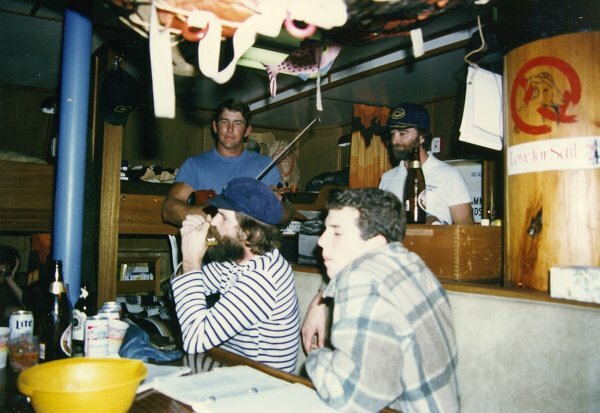 The new HMAV Bounty was launched on December 16, 1978 by Whangerei Engineering and Construction Limited in Whangerei, New Zealand. 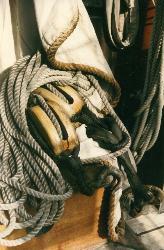 pumps produces an artificial heel or roll. 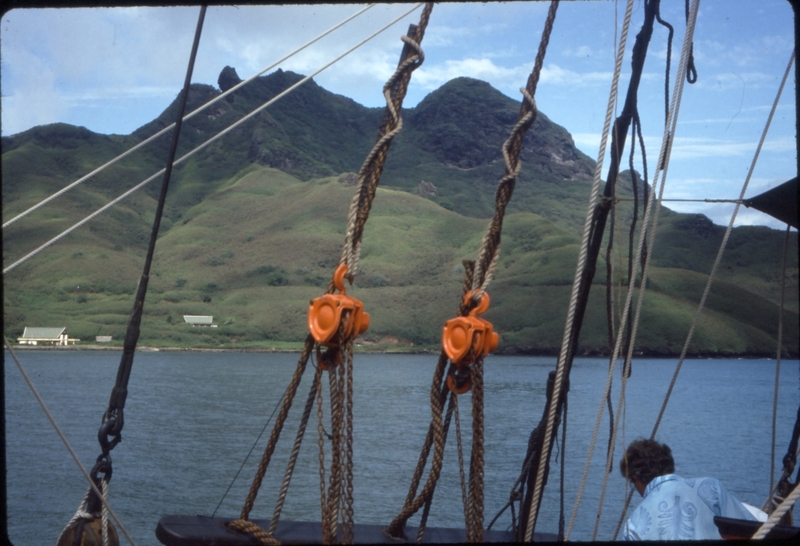 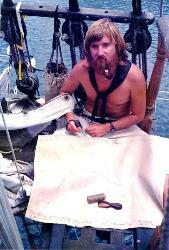 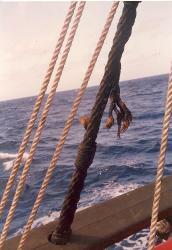 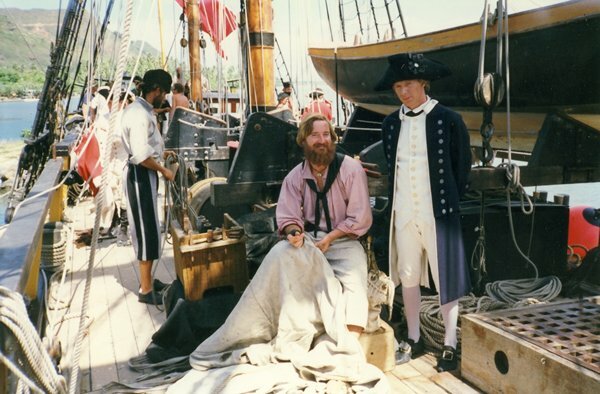 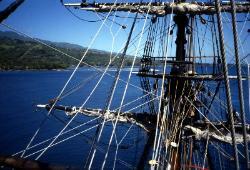 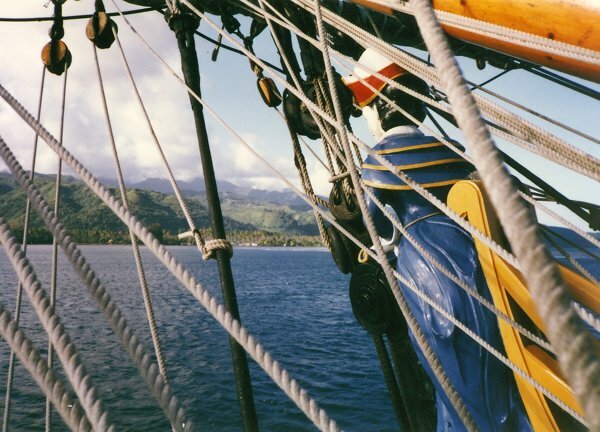 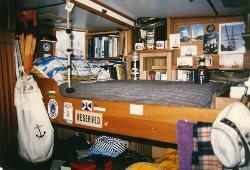 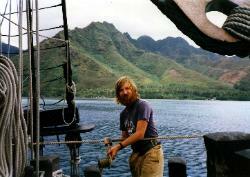 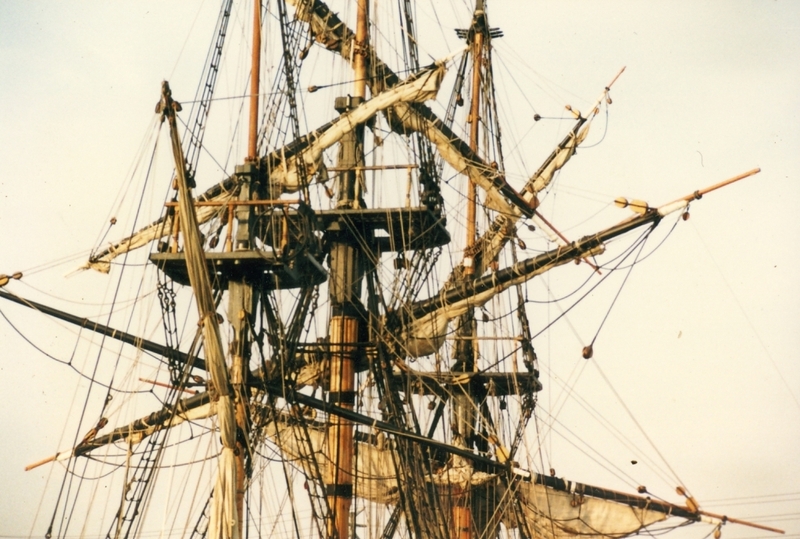 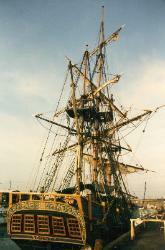 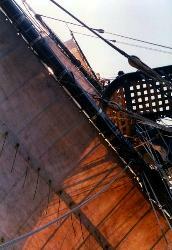 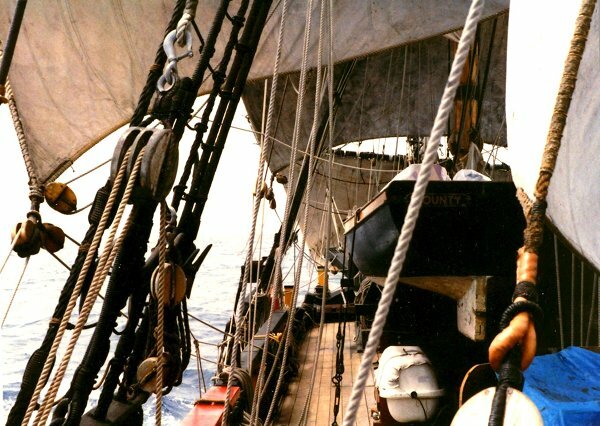 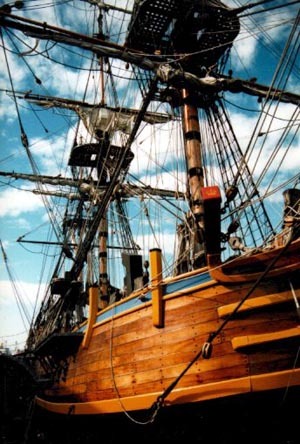 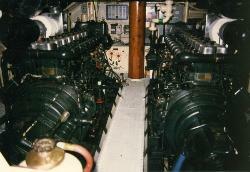 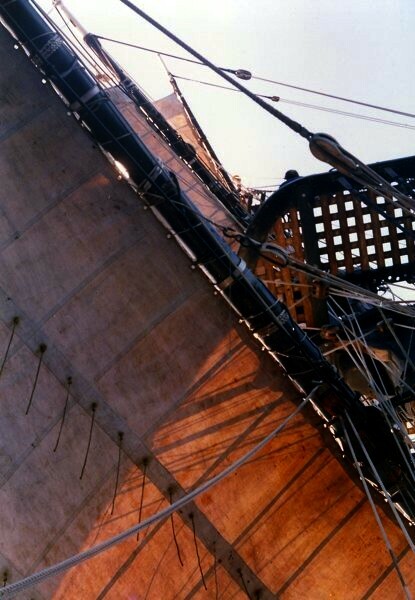 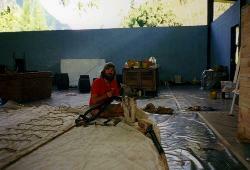 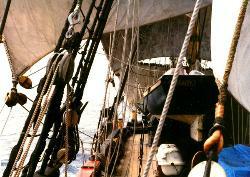 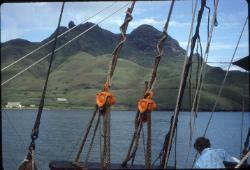 Above decks all is 18th Century – Bligh would feel right at home scanning her decks and gazing upon her rigging. 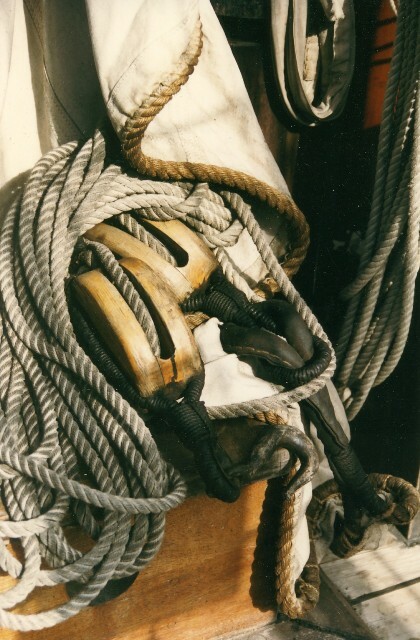 sophisticated valve system enables the exhaust from both engines to be discharged at the water line on which ever side of Bounty is not being filmed.